EDINBURG — When Aldo Quintanilla arrived for the RGV FC Toros’ open tryouts in January, he said he was about 15 pounds overweight. He had heard about the opportunity from his uncle Jorge Diaz, an assistant on the RGV FC coaching staff. Quintanilla may not have been in top form, but the 22-year-old showed undeniable talent. He had most recently played with Liga MX club Queretaro after coming up in the Santos Laguna academy system. By the start of the season, Quintanilla had shed the excess weight and is listed on the Toros roster at 5-foot-9 and 181 pounds. He sat out RGV FC’s first game due to an issue with his international paperwork but has played in each of the team’s three contests since, picking up a goal and an assist while also drawing a foul that led to a penalty kick. The Toros (0-2-2) are still in search of their first win of the season as they prepare for a road match against Portland Timbers 2 (2-2-1) at 9 p.m. Wednesday. From the time he first put eyes on Quintanilla, Echeverry noticed the forward’s ability to quickly change pace, stopping and starting in an instant. But Echeverry knew Quintanilla could only maximize his talent if he was willing to make significant changes off the pitch. Initially, Echeverry and his staff assigned Quintanilla extra conditioning drills to try to get him up to speed. 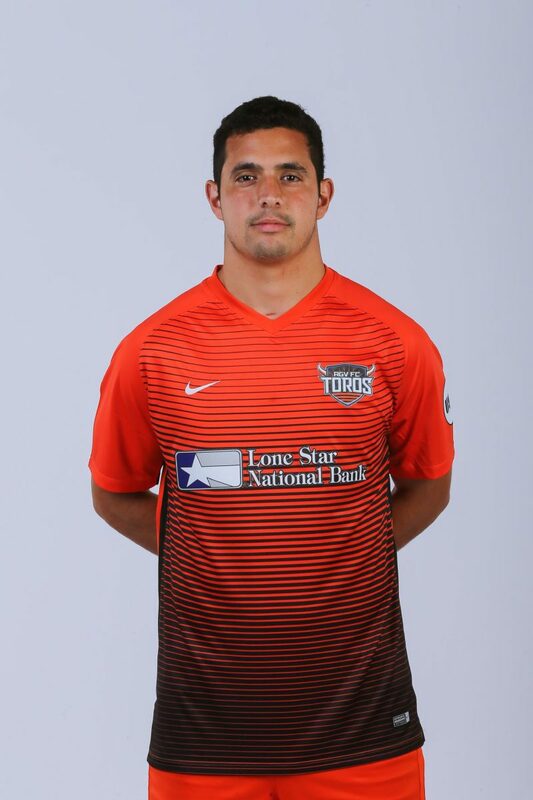 During RGV FC’s game against Colorado Springs on April 7, the Toros’ statistical analysis showed Quintanilla covering the most distance and at the fastest rate of any player on the roster, Echeverry said. Quintanilla was born in Laredo and has spent most of his life in Mexico but said he typically visited the Valley multiple times each week to see family in McAllen. Going forward, Echeverry said Quintanilla needs to work on better linking with his teammates to create scoring chances. Quintanilla said his focus is on improving his striking and headers to be a greater presence in the penalty area.